You know you should do it. You know it can be a boon to health. You know it involves sweating. But beyond that, what is cardio exercise exactly? How does it affect the body differently from other forms of exercise? What counts as cardio and what doesn’t? How often should you do it, and how should you do it? Pro tip: Transform :20 offers are now available on TeamBeachbody.com! VIP Early Access starts on January 14th, 2019. Transform :20 will be available in the Beachbody On Demand member library on April 1st, 2019. Learn more about Shaun T’s newest program here! Not quite. Just about any physical activity you do can increase your heart rate, from lifting weights to strolling between your desk and the bathroom to rolling out of bed in the morning. For an activity to qualify as a cardio workout, it has to meet both criteria mentioned above. In short, it has to raise your heart and breathing rates and challenge your cardiovascular system, just like a biceps exercise has to challenge your biceps and an abdominal exercise has to challenge your abs. While leisurely activities like walking and easy bike riding have benefits of their own and are cardiovascular in nature, they aren’t cardio exercises (unless you are very deconditioned). That’s because they don’t challenge the heart and lungs enough to improve their function. Aerobic exercise is one form of cardio — but it’s not the only one. Think of your body as a hybrid vehicle with two engines: one is aerobic, meaning it requires oxygen to run, while the other is anaerobic meaning it does not need oxygen. Both engines are always active, but depending on the duration and intensity of your workout, one will work harder than the other. The aerobic system is best for long and relatively easy activities — the stuff you spend most of your day doing: working at a desk, eating, walking — and for lower-intensity forms of exercise, like jogging. You can emphasize the aerobic system with continuous low-intensity activity lasting 20 minutes or more. The anaerobic engine is for fast and intense activities, like squatting a barbell or sprinting all-out for 30 seconds. It’s also emphasized during repeated bursts of intense activity, such as cardio workouts involving high-intensity interval training (HIIT). Mountains of research in the last two decades (including this study) show that both aerobic and anaerobic workouts can improve cardiovascular functioning — and so both approaches qualify as “cardio” exercise. Since cardiovascular exercise is directly related to how hard your heart is working, that must mean you need to know your heart rate with some fancy heart rate monitor, right? While trainers have traditionally used the “age-adjusted heart rate” formula (check it out here) to track intensity during cardio workouts, it’s been called into question in recent years: A 2010 study, for example, found that the age-based formula might not be accurate for many women. Other studies on different age populations have come to a similar conclusion. Thankfully, there may be a more accurate and practical way to monitor how hard your heart is working. Just use the talk test: If you find it difficult to speak, even in short sentences, then that likely means you’re in the right range for the activity to qualify as cardio exercise. When it comes to cardio, it’s not what you do — it’s how you do it. To determine if your chosen activity counts, just try out the talk test mentioned above. Sure, standard workouts like running, cycling, and stair climbing can be great cardio exercises, but so can kickboxing, shooting hoops, and shoveling snow. Your cardio options are almost limitless. You just need to keep the intensity high enough to challenge your heart and lungs. Cardio can be a steady-state exercise that’s done at low to moderate intensity, like jogging or an easy bike ride. Cardio can also be intervals of high-intensity exercise, like HIIT, where you go all out for 20- to 120-second bursts, and then rest just long enough to allow you to perform the next round with equal intensity. Examples include Tabata and Shaun T’s new program, Transform :20. Just keep in mind that whatever cardio activity you choose should involve large muscle groups in the legs and trunk, since smaller muscle groups like the biceps and calves don’t create an oxygen demand large enough to tax the cardiovascular system on their own. What is cardio good for, and why should you bother doing it? Like brushing your teeth and sleeping for 7 to 8 hours a night, it’s one of the most indisputably healthy activities you can do. By challenging and strengthening your cardiovascular system, you increase its capacity to take in oxygen, pump blood to the working muscles, and clear carbon dioxide and other waste products from your system. Plus, as your heart becomes more efficient at pumping blood, your resting heart rate slows, reducing the stress on your most vital muscle. Long story short: Cardio helps your heart and lungs function better both during exercise and at rest. A study in the Journal of Physiology found that four to five cardio workouts a week is optimal for cardiovascular health and longevity. Over a lifetime, that’s a lot of time in the cardio saddle. So how should you spend it? Since cardio exercise can encompass a vast range of activities — from stationary cycling to dancing to raking leaves — you have many options from which to choose, and you should choose several. After all, you don’t have to confine cardio to workouts — you can weave it into your everyday life as well. Convenience. Whatever type of cardio you choose to do regularly, make it something that’s convenient. In other words, don’t commit to swimming workouts if you don’t have easy access to a pool or cycling workouts if you don’t have easy access to clear roads or a bike path (or a spin bike). Ideally, you should choose something you can do close to home that involves minimal preparation and equipment. Even better, do cardio at home using a streaming workout service like Beachbody On Demand. Preference. 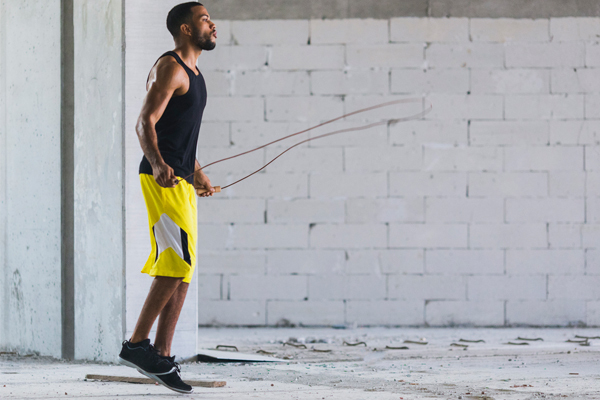 The Internet is overflowing with advice on what the best type of cardio is, but ultimately, the best cardio workout is the one you’ll do consistently. So don’t take up mountain biking if you’re not into adrenaline sports; don’t choose swimming if you hate the water. Pick something you’ll be excited to do. If you’re interested in doing something that’s martial arts-inspired, check out CORE DE FORCE. Maybe you like to dance and will have a blast doing the hip-hop routines in CIZE. Or maybe, some days you just want to just lace up your shoes, blast your workout playlist, and go for a run. Since cardio encompasses so many activities, don’t limit yourself to something you have to force yourself to do. Physical limitations. If you have a history of joint injuries, particularly to your knees, ankles, and lower back, you should avoid high-impact activities (like running and basketball). Instead, you should stick with low-impact cardio activities like cycling, swimming, and strength training. If you’re looking for a low-impact cardio workout at home, try something like PiYo — this pilates-yoga hybrid workout will boost your heart rate and get you sweating without any jumping or pounding on your joints. Time. Some people live for a 4-hour weekend bike ride. Others would rather get it done fast and get out. Luckily, cardio can be done in less than 30 minutes. Skeptical? Just try the sweat-inducing cardio workouts from 22 Minute Hard Corps. If you’re pressed for time, HIIT cardio workouts are a great, time-saving option. Here are some of our favorite workouts under 30 minutes. Whatever you choose, just be sure that it fits your schedule.